When you have been a beekeeper for a while, you will naturally develop a love for bee friendly plants. And if you have much space available, even a few flower pots, planting for bees will become a part of your annual garden design. As a beekeeper and gardener, I am constantly looking for new bee plant ideas. And if they are a bit odd, that’s even more exciting. Imagine my delight when I found information online from Deb Terrell (Nature’s Circle) showing honey bees working the blossoms of a Luffa vine! Are you kidding me? First of all, growing a plant that produces a sponge is cool as heck! Second if the flowers also provide food for bees and other pollinators, that is even more wonderful. I was in ! 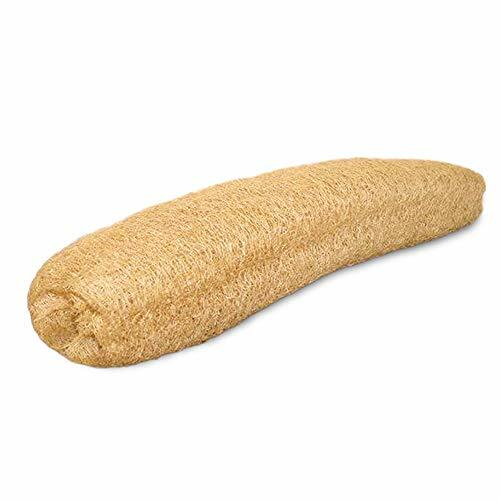 If you are not familiar with a luffa sponge, well – first of all where have you been? Just kidding. 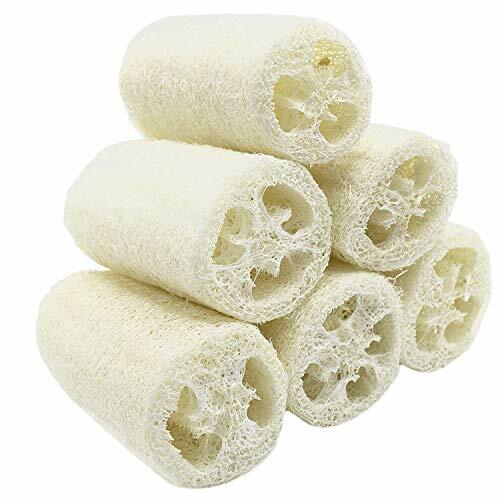 Seriously, luffa sponges are used for so many things related to the beauty industry. They are well known for their gentle exfoliating properties. 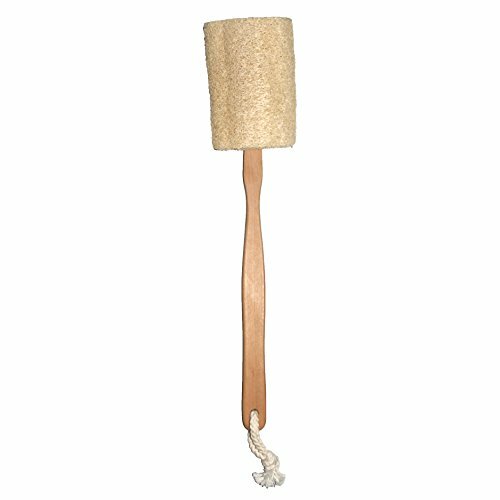 And, luffa sponges are a natural product, they are a renewable resource – and heck, they are just plain fun. 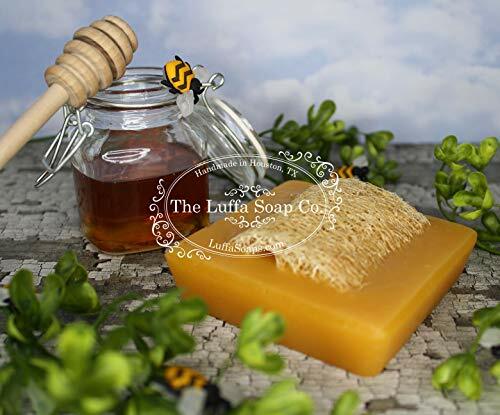 Why Grow Luffa for Bees? The first reason you may want to grow Luffa for your bees is that it is cool. I mean, how many people do you know who currently grow sponges. But uniqueness aside, the Luffa vine grows into a large beautiful vine. It is an annual but can provide a nice Summer screen to any outdoor area. When the bright yellow blooms appear in late Summer, the Luffa vine becomes a food source. I witnessed bumble bees, wasps, honey bees, humming birds and other pollinators visiting my luffa vines. The large yellow flowers are beautiful. Male flowers are rich in pollen that will be collected by honey bees, bumble bees and other pollinators. Female flowers occur in clusters and provide a fair amount of nectar. You may feel that you are waiting forever for blooms to appear. However, once they get started, the Luffa vines bloom profusely until frost. I was very impatient to see blooms on my vine. Through my research, I saw that it was possible to grow a Luffa in my climate. When you are choosing any plants for bees, you must make sure your climate is suitable for that plant. Luffas like a long growing season to produce ripe fruit. After doing some research to learn the “ins and outs” of growing a Luffa, I am off to the local store to buy seeds. 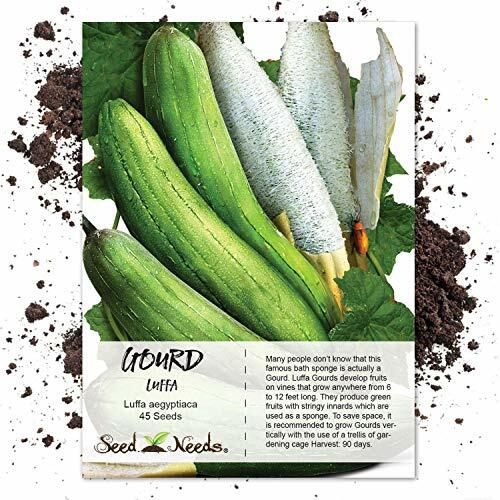 Luffa seeds are easy to find in early Spring at any garden center. Or you can avoid the hassle and order seeds online – they are not very expensive. One pack of seeds should be enough for my backyard garden and buying seeds is usually a cheaper way to approach planting for bees. * Even though I live in the South – next time I will start my seeds indoors earlier. I will start my seeds in my little greenhouse a few weeks before the frost-free date. I did not want to start seeds too early and have the plant get too large. I realize now that was not a worry, more on that in a bit. I had good luck with my seed starting and grew several starter vines. After choosing 4 for myself, I gave the rest to friends and neighbors. If you decide to grow Luffa in your bee friendly garden, watch them carefully when they are small. It seems that every plant eating bug in the universe wants to take a bit. Once the plant gets started, pests are less of a problem. As soon as your first luffa plant emerges, you should be thinking about how you are going to support them. Keep in mind that supporting a large green vine is one thing. Supporting a large green vine with heavy hanging fruit is another. Set up a trellis or some type of heavy duty netting to allow your vine to climb. And it will climb – I had to rescue my wind chimes and my hummingbird feeders several times over the Summer ! The Luffa Vine is a …well.. vine! It will grow to a rather large size so plan on having a strong vertical support in place. I have a partial block wall at one end of the house that would be perfect. I will give the vine strong cord to climb. This area gets plenty of sunlight and is not far away from the bee yard. Lush summer growth will provide relief from the late day sun and provide a pollen and nectar source for my bees. One thing that makes my Luffa a great choice when planting for bees is the time of bloom. Our late summer bee food plants can be sparse. The Luffa blooms may provide food for bees when there is little else out there. In my region, a cool, wet Spring was followed by a brutal, hot Summer. The luffa vine got off to a slow start but began to grow robustly in the summer heat. And when I say it began to grow a lot, I mean really a lot. I had not applied any fertilizer to my vine. But I had a lot of vine and no flowers for a long time. As the vine outgrew the spot I had for it, I realized that I had chosen the wrong location. This thing was becoming a monster vine. It was reaching the house top, I could only imagine what my husband must think… oops. But, I had invested too much heart in it to stop now. The male flowers appeared first as single blossoms. I was delighted to see Bumble bees working the flowers for pollen during early Morning. But wait, where were the honey bees? Obviously, the honey bees had found a source of pollen that they preferred at that time. Later, the honey bees joined the pollen gathering too. Each week, I inspected the massive Green Monster Vine looking for fruit. If you grow a big Luffa vine like mine, expect to spend some time looking for your first fruit. The beautiful large, green leaves are great for hiding little Luffas. Finally, your Luffa fruits will appear. You will be surprised at the growth rate of the Luffas. The smaller ones are similar to cucumbers and can be eaten. If you want to harvest sponges, leave the fruit to grow larger. When the fruit has matured, the Luffa will feel soft and spongy. They must be harvested before frost kills the vine to prevent spoilage. Some of your Luffa fruit will still be green and hard, harvest them too. Ripe Luffa fruit will be easy to peel. Green fruit can be peeled but it is not easy. You want ripe fruit! After discarding the tough green peeling, the inside of the fruit contain pulps, seeds and a fibrous structure that becomes a sponge. Take your peeled Luffa fruit and spray it again and again with water. You need to use a sprayer with force to clean the pulp and seeds out. Continue to spray and squeeze the fruit until the pulp is washed away. Now you will have a fiber sponge! This is left to dry in the sun for a few days – and you have Luffa sponges! 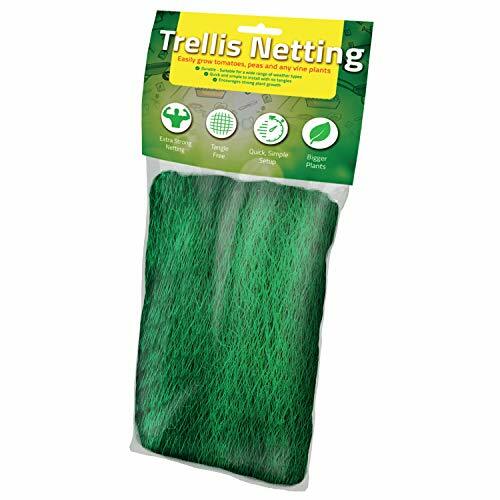 You can use them yourself around the house or give them to your non-sponge growing friends. While I am certainly a novice on growing Luffa, it was a great experience. My honey bees enjoyed the late Summer blooms. And other pollinators used the plant as a food source too. I had a blast with the project. I will include the Luffa vine in my list of good plants for bees for future reference. Would I grow one again? You betcha. But I would only grow 1 vine and I would find another larger place to grow it. Have fun experimenting with the growing a variety of bee friendly plants this year.